In a country with an abundance of talent coupled with hard work and ingenuity, it is never easy for a local player looking to build his career on the home front and export said talent to the global stage. However, despite the challenges, the never say die attitude of the average Nigerian helps youngsters in the country to look forward to a better future in their careers and one of such on the way to such prominence is Mountain of Fire and Miracles Ministries Football Club (MFMFC) player Akpudje, Joshua Ogheneochuko who recently got a call-up to the camp of Nigeria’s U23 squad in preparation for the Africa U23 Cup of Nations. Akpudje, who plays as a defender for the Adekoya Boys, has been on the radar of Nigerian football future heroes after an amazing display of talent in two editions of the GTBank Principals Cup Lagos which saw him take home the MVP award both times. And since then it has been a rollercoaster ride for the youngster. Speaking to busybuddies about his call-up to the camp and how his experience so far in the Nigerian Professional Football League (NPFL) will help him if selected in the final squad, Akpudji said, “It is a great honour for me. I just arrived in the camp today [and] my first priority is to settle down and my first training matters a lot, because in Europe to your first training really count, and to look around and see what is going on first then just stay calm and play the game, my normal football. 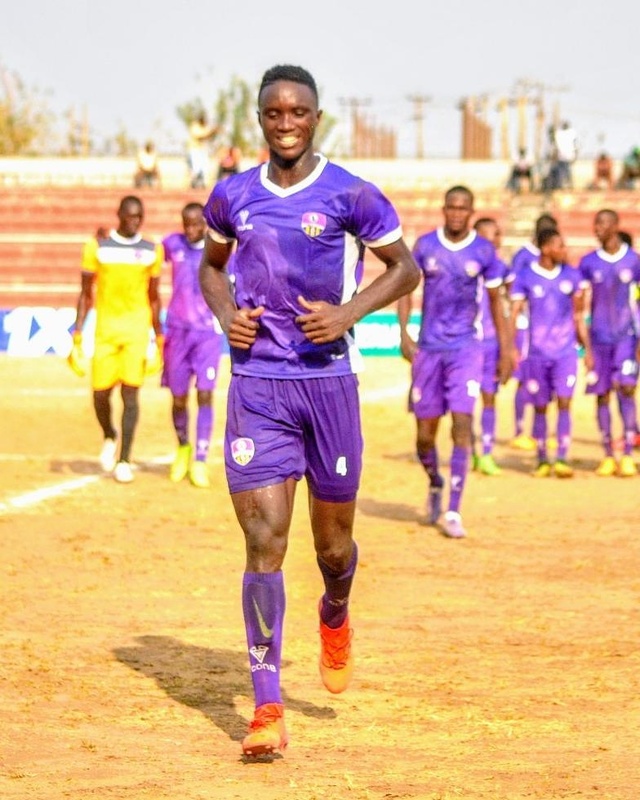 Akpudje, who is currently the youngest defender in the NPFL and has featured in several European countries while looking for a permanent place, is becoming a face to reckon with in the MFM squad. Although a teenager, presence was felt against Remo Stars when he made his full debut for the club, following team skipper Stanley Opara’s injury that placed him on the sidelines. He went further to briefly talk about his time abroad which didn’t amount to much until late last year when he was signed to MFM. “The club I went to in Slovenia, the coach told the manager that ‘Joshua is good but he’s young to play in the league’ because I was 16 years old then going on 17. So the manager found me a club in Croatia. When I went to Croatia, I stayed more than 3 to 5 months there, the last day of my transfer – the transfer was gonna close in August – some issue came up with the board, but it’s not my business mine is just to play, so I did not secure my contract so I had to come back home,” he said. “In 2017, I didn’t travel out, I was on my own working out in the hopes to secure a better contract. So it was last year, 2018, I went for some scouting programmes in the Czech Republic. I don’t know what came up but the coach walked up to me on the last day of the training and told me that I am not strong enough for the league and it has never happened before that the coach will tell me that I am not strong. I know it was just for me to work harder. “It was last year, when my team played a friendly game against MFM, although I’ve known coach Kamara since I was 16-years-old, he watched me play in the Principals Cup where I won the MVP twice and represented Lagos. “I played the game, then he invited me. Although someone said to my boss that ‘Joshua is young to play in the premier league [NPFL], but he asked that as a central defender will I be able to speak to the senior players, coordinate the defence and things like that and my boss said ‘yes, Joshua can do that’…” he added. If selected to the final squad, Akpudje says he plans to not only sell himself to the global audience but ultimately wants to make Nigeria proud.